Elisa serves at Repetiteur for the Student Company at the School at the Mark Moris Dance Center. Master Lecturer for University of the Arts fall term. Elisa joins Monica Bill Barnes for her immersive theater piece, Happy Hour. Mark Morris Dance Group "The Hard Nut"
Elisa rejoins the Mark Morris Dance Group for "The Hard Nut" at BAM. Elisa teaches repertory as a guest lecturer in dance. Elisa serves on the faculty of the Young Professionals Program at Move(NYC) this summer. "An absolute unique New York experience for dance students ages 13 -18! 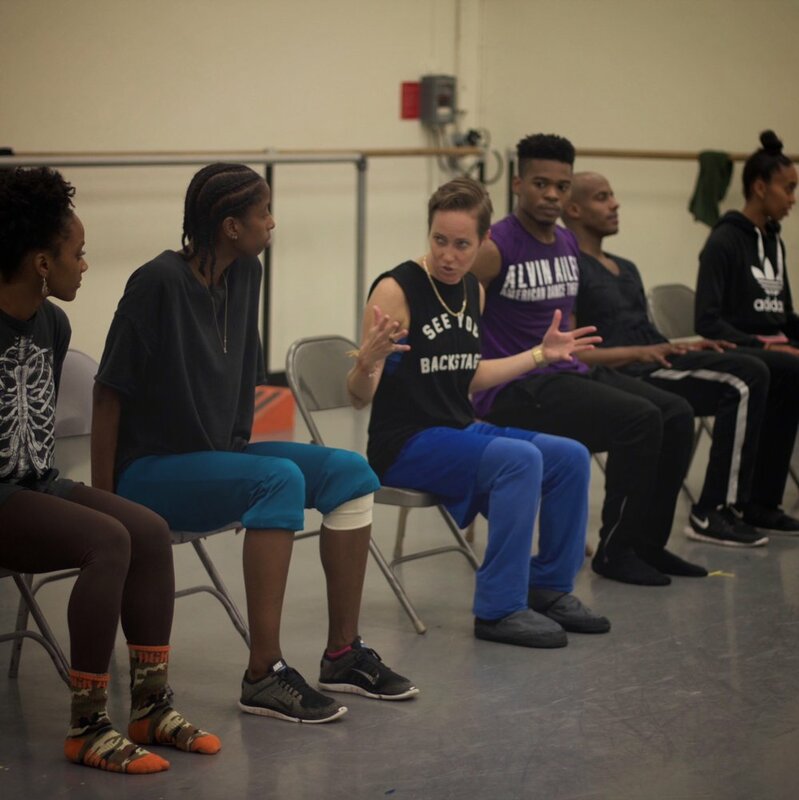 The Ailey Experience workshop gives dancers from around the world the opportunity to take master classes in a variety of techniques at the home of the world-renowned Alvin Ailey American Dance Theater." Elisa is on the faculty of the Teen Intensive at Mark Morris Dance Group's Summer Dance Camp. Elisa guest teaches during week 2 at the Summer Dance Intensive at Boston Conservatory. Elisa joins the Artist Faculty for the Contemporary program at the School at Jacob's Pillow. Elisa joins the faculty of the METdance Professional Intensive in Houston TX. Elisa will be a Guest Lecturer at the Career Lab Seminar for the Mark Morris Summer Intensive. Master Lecturer for University of the Arts spring term. Elisa rejoins the Mark Morris Dance Group for "The Hard Nut" at Zellerbach Hall, Berkeley CA. Guest Artist at Miami Arts Charter School. Guest Teacher for the fall term at the Ailey School. Faculty for University of the Arts fall term. Elisa returns to the faculty at Perry Mansfield Arts School & Camp. Elisa assists Robert Battle's masterclass at the School at Jacob's Pillow. Robert Battle and Elisa Clark in rehearsal. Photo by Danica Paulos. Elisa returns to the faculty at ADF.